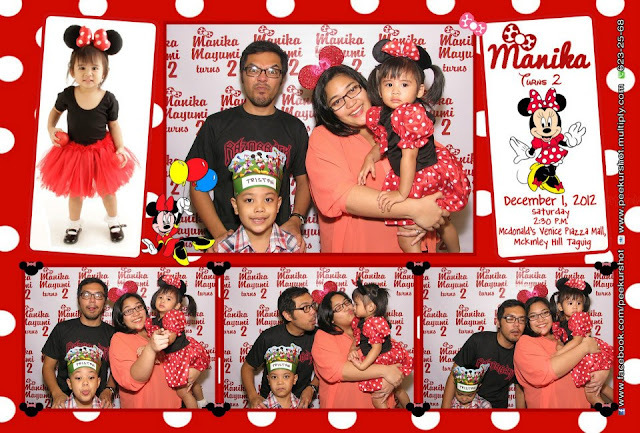 A few weeks ago, our family got together to celebrate the second birthday of our youngest member, Manika. She is the daughter of one of my cousins, and is, so far, one of only two girls from her generation.Yep, we seem to have made a lot of boys over the past few years. This party was held at McDonald’s in Venice Piazza. While I was really happy about the fact that this branch and its mascots were much, much cleaner than McDonald’s Alabang, it didn’t seem like a good place for a kiddie party because of its layout and furnishings. It got pretty crowded and it was tough moving around because of the bulky seats and the odd shape of the whole restaurant. Just sharing my observations.As soon as we found a table, Manolo and Tristan started playing Real Steel on Anna’s iPad. We got there a bit later than the time on the invitation but the party hadn’t started yet. It was a good thing we arrived at the same time as Manolo and family so the kids didn’t really mind that nothing much was happening yet. It was your typical McDonald’s party with free-flowing fries and sundaes, games, and a dance number from Grimace. I enjoy parties at McDonald’s because I like the food and the program is quick. One thing I can’t stand though is adult music played in kiddie parties. Whatever happened to the Sesame Street birthday soundtrack that party organizers used back when I was a kid? Oh wait, let me guess. Maybe they went out of style when cassette tapes became obsolete. But it isn’t as if those songs are hard to find. The point is, I’d prefer for my kiddo to be listening to children’s music over some R&B or pop song. There was even one party where they used a song with curse words in it. That time I really complained to the organizers. Luckily, the people from this McDonald’s branch had enough sense to use wholesome songs during the program. Now, for more snapshots from the party, plus a few photo booth pictures! It’s always fun celebrating birthdays with kids. I’m excited to plan Tristan’s seventh birthday next year. Looks like we’re having a Laser Tag party. Excited about all the DIY possibilities for the decor and giveaways. Can’t wait! Do you mommies also organize fun parties for your kids? What have been your best themes and your most memorable celebrations? I’d love to hear from you! P.S. 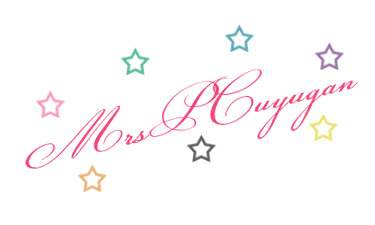 Find me on Facebook and Twitter!